Over 250 people attended "a night with Chris Solly and Guests" at The Valley on Wednesday evening. Chris (CS) was accompanied on the stage by Chris Powell (CP), Jonnie Jackson (JJ) and Scott Wagstaff (SW) and the evening was compered by Steve Sutherland (SS). Keith Peacock joined the discussion towards the end. Before the start of proceedings there was a heartfelt round of applause for Darren Pitcher. CP: Was it a brave decision to pick Chris in 2011? Not really. You never really know until you put someone in but Chris stood out. I knew he'd be fine - he had the right temperament. To be a full-back you need to be level headed. JJ: He was the oldest 21 year old I've ever met. He acted like a 30 year old. You knew what you would get week in week out. CP: I didn't bring in another right back (Andy Hughes came later) because I was confident in Chris. I told Hughesy that Chris would play as long as he was fit. CS: It helped me that there was such a big turnaround of players. I didn't feel different from them. It helped my confidence that I was being picked ahead of Hughesy. CP: We brought in players who could handle playing here and at a higher level - Rhoys, Dale Stephens, Yann, BWP. I bet on players I knew like Michael Morrison. I could see his qualities and captaincy potential. When Yann was frozen out at Leicester I had trained with him so I knew him well. 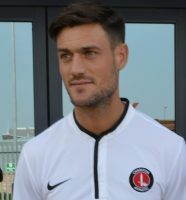 I had to convince him to come to Charlton. I said "Come to London and make yourself a hero". I knew we had a good squad but that he would give us a little bit extra. He was my son (don't tell my son!) JJ: it was a kick up the backside to have so much competition. There wasn't a stand-out player but you couldn't guarantee your place. SW: It was an exciting time. CP: I watched the first game (Bournemouth 3-0) from the tunnel because I was suspended. I could see that we would have a good season. CS: Robbie Elliott said to me after the game that we would get promoted. I said "Rob, we've only played one game". Anyway, two weeks later he was gone. JJ: We were already singing "we are going up" on the pre-season tour coach. JJ: Everyone was angry after the defeat at Stevenage. There was a lot of shouting in the dressing room at half time and at the end. CS: I was dropped for that game! SW: So was I! CP: We were sore at losing that game to Graham Westley's team but shouting bonds you together sometimes. Stand-out games? CS: Beating Huddersfield on TV. They were on a long run but it was a convincing win and it buried the idea that we always lost on Sky. JJ: The Sheffield games were great for me personally and that was a pivotal week in the season. It was the nature of the victories - winning 1-0 is lovely. You are saying: "We've got our goal. Now, you shall not score". CP: Chris was marking Ben Marshall in the Wednesday game. I told him to stop the crosses at source and Marshall didn't get in one cross all game. They tried to target Chris at the far post but he was too clever. He is one of the cleverest I've ever seen. He has a Premiership brain. Ben Marshall is here this evening actually - still in Chris's pocket. CS: I looked forward to the duels. The following year in the Championship I enjoyed marking Bellamy, Zaha, Bolassie etc. CS: I enjoy playing left back. There are little differences such as having to push off on your right leg but I've played there quite a lot now. I like that I can touch inside. CP: When I tried to play right back I simply couldn't do it. JJ: I started at LB at Charlton because Grant Basey was injured. I found it quite easy although the defending was harder. SW: I had a good partnership with Chris up the right. He is one of the best talkers on the pitch. CP: We had to keep players level headed towards the end of the season. We knew we were there to be shot at but we could always find a way out of it. At Oldham with two players sent off we managed a 1-0. Two days later we were at Walsall. JJ: We didn't play well at Carlisle but I kept feeling we would score in a minute and then we got one of the luckiest goals you'll ever see. CS: We didn't play well but when Jordan Cook hit the post for them I thought that things were going to go our way. We flew back to London after the game and drank Champagne on the plane but not much as we were driving from the airport. Except for Yann who wasn't driving. He was in the back of my car after about 19 Champagnes. JJ: I remember the gaffer telling me "Savour this because these moments don't come round too often". CP: That day was the culmination of ten months. I'll never forget it. We were all "on the same train" with the supporters and everyone. Q: Who is (a) your favourite player at Charlton and (b) who might make it to the Premier League? JJ: (a) Chris Solly. (b) Joe Aribo has all the attributes if he works hard. CS: Karlan could make it. He's got incredible speed. People forget that he is still very young. CP: For my favourite player I'd have to say Claus Jenson. He added something special and he wasn't a typical footballer. Q: Chris - Your save at Millwall when you were sent off. It was one of the best saves I've seen! Q: What is the situation with your knee? CS: It is fine. I had a tiny bit of cartilege repaired. It has taken a year to understand my body and work out my training load but I'm fine now fitness-wise. Q: Scott - if you score for Wimbledon against us will you celebrate? SW: I won't be scoring! No, I have a lot of respect for this club. I was here from the age of eight. JJ: I think there's too much of this not celebrating. I used to love scoring goals. You should be delighted. OK if you have a real affinity but not otherwise. CS: I've only scored three in nearly three hundred so I'd be celebrating. When I scored at Luton I didn't know what to do. Our fans were on the right but I ran to the left so I ended up giving their fans a bit of stick. Q: Chris - Where did you learn to rugby tackle? CS: I went to a grammar school so I played quite a lot of rugby. Q: When you arrived you won four on the spin but then it all went downhill. Were you always confident? CP: Dagenham was the lowest point and the fans let us know it but I was brought in for a reason which was to bring about change. It is the tough times that make a club. I got great support from Peter Varney, Steve Kavanagh, Keith Peacock and Phil Chapple. At every level now managers don't get enough time. Some owners look at the big picture and realise that you need time to develop young players and implement a plan. JJ: The level of turnover is not right. You need time to create an environment. Q: There was a special buzz in 2011/12. Are you feeling that again now? JJ: I do think something good is brewing. We are creating an environment to perform. This is a great group of players. They are prepared to listen. They want to do well. CS: This is the best group by a million miles since 2012 but that 2012 squad was a one-off. I remember once when Dale Stephens didn't track his runner. Matt Taylor ran over and punched him in the back of the head. But we were all mates. Q: What is the most hostile atmosphere to play in? All: Millwall. JJ: I can't stand the place. I remember a bloke making a throat slitting gesture while I was just warming up. SW: You get abused by four year olds. Keith Peacock: We used to play at the Old Den. You'd get women hitting you with handbags when you tried to take a corner. Harry Cripps would punch you in the solar plexus and the ref would say "Take it easy, Harry". I enjoyed Chris Solly's tackle on Chris Taylor a lot because it paid a bit back. CS: Yes, I enjoyed that tackle. The ball was bouncing and I did leave my studs up. Taylor was a mate of Dale Stephens and I spoke to him after the game and he was all right. Then I read in the paper on Monday that he was saying it was the worst tackle he'd ever had. But I enjoyed it. I'm from Rochester so I live near quite a few Gillingham fans. I don't like them much. Q: What really happened on the 2011 pre-season tour of Spain? JJ: We had been given an afternoon off after a hard few days. We found a swimming pool with a bar. CP: I had told them "no drinking all week unless I say". JJ: We had a half of lager and then another one.... CP: They thought they were in for a light training session that evening but I made them do nine laps and a full session. You could tell who the drinkers were because they couldn't keep up. The following morning they thought they'd got away with it but I was livid. I sent them away one by one until only "The Lepe 8" were left. I tore into them. In many ways it was the making of me and us. It brought us together. CS: Scott and I weren't involved. JJ: That's because you were just young lads then. You would be now! 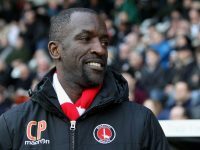 Q: Chris Powell - How will you feel on February 9th when you come here with Southend? CP: Well, it does feel strange but I've been back here twice before. But I'm looking forward to it. It is my spiritual home. The evening ended with Chris Solly thanking his guests and everyone for attending.